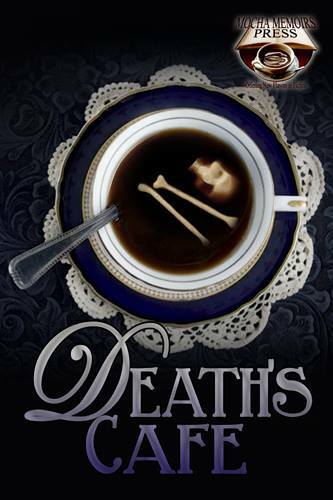 I am happy to announced that the expected release date for my story “Ashes and Coffee” is October 10, on “Death’s Cafe”. “Death’s Cafe” is a series of single, novelette to novella length horror stories focusing on the themes of death and coffee. It is my first stand-alone work with a publisher (other than myself). It is a part of the Death’s Cafe series. The gorgeous series cover art (seen below) is definitely a part of why I chose to write a story for the series. I am excited about the cover art for Ashes and Coffee – all of Mocha Memoir’s books seem to have gorgeous covers. “Ashes and Coffee” is the story of a young homeless woman in Berkeley who discovers she is being stalked by death personified. Why is death following her, and what does he want? ~ by Sumiko Saulson on October 6, 2014.